and the nearby area for financial help to support or teams in the upcoming 2018 season and beyond. cannot cover our full expenses, your support is really important to us. Our junior team is made up of players from Hudson and Litchfield. The ages of our junior team run from the age of 13-17.
part of the junior program since it started in 2007 except for the 2013 season. Our donors will be honored with recognition in our baseball program. Recognition will also be made yearly on our website below. 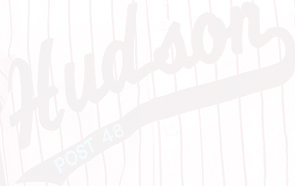 Any donation your company or club can make would be greatly appreciated to keep the consistent tradition of Hudson Post 48 Baseball. its long history. Please check out the New Hampshire Legion website: New Hampshire American Legion Baseball. Please check out the list below of our benefactors. If you can, please support them too! Hudson Fish and Game Inc.